In terms of personnel, this was a much-changed Rangers side from the one that had struggled to earn a goalless draw on this same ground last October but despite fresh Scottish blood coursing through the side there was little improvement in terms of application or performance. Livingston, with the CIS Cup resting in their trophy room following their historic win over Hibs last month, seemed content to spring on the counter attack, with Lee Makel’s shot deflected wide and David McNamee robbing Paolo Vanoli only to see his tame shot easily held by Stefan Klos in the early stages. Rangers, despite their dominance, had failed to make Roddy McKenzie in the Livingston goal work for his wages, although Steven Thompson should have done better with an attempted lob that the goalkeeper clutched gratefully to his chest. The lumbering, physical battle between Thompson and Marvin Andrews made for an interesting sideshow, akin to King Kong squaring up to Godzilla to the backdrop of an ashen West Lothian sky. After 24 minutes the Scot came out on top as Rangers went in front. 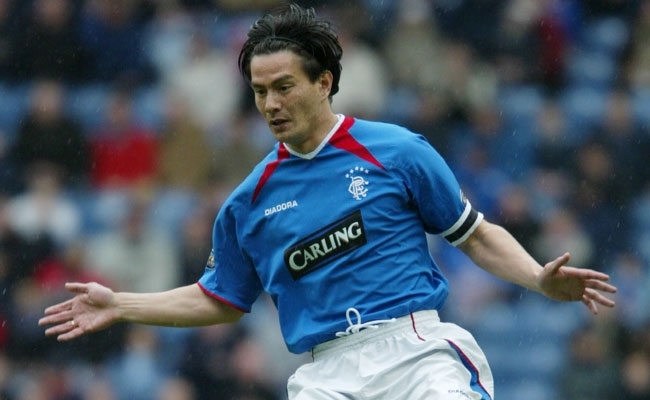 Gavin Rae’s centre was nodded on by Thompson where Michael Mols swivelled to pummel a half-volley past McKenzie. The rest of the half petered out with little of note although Willie Young with his eccentric brand of refereeing did his best to rouse the anger of fans all around the City Stadium. Goodness only knows how the tubby whistler still reaches the standards required of refereeing in this country as he waddled around the pitch some 30 yards behind play. 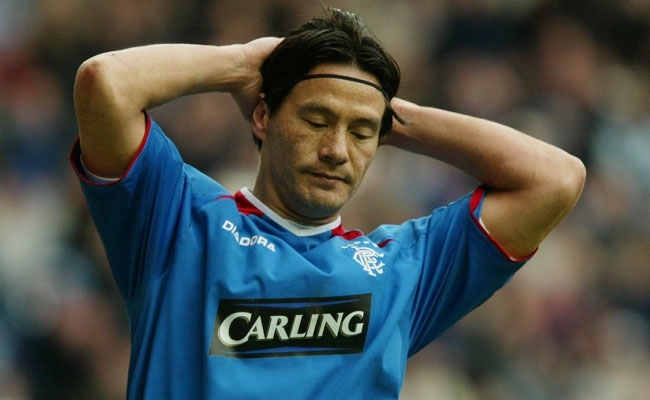 Like Inspector Clouseau, Young has a habit of arriving at the scene of a crime some five minutes after the perpetrators have already made a dash for it and remarkably waved a Rangers penalty claim away when McKenzie seemed to throw Thompson to the ground with some form of judo manoeuvre. Minutes later and Thompson was upended by Andrews just outside the box only for Young to arrive moments later out of puff, shake his head indignantly and stroll off. With little on the pitch to entertain the impressive travelling support, news that Celtic’s European run had come to a shuddering conclusion soon filtered round the stadium to be greeted by the largest cheer of the night. 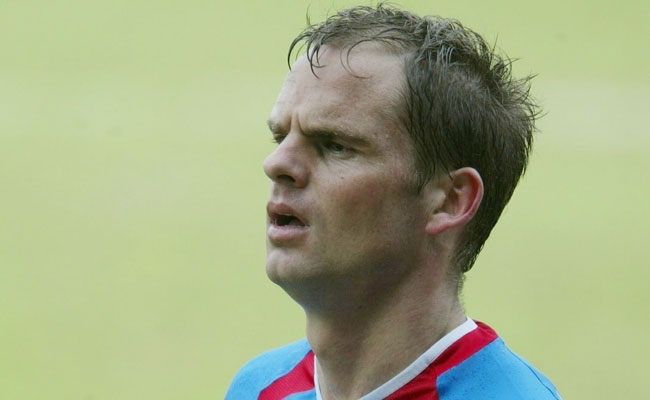 The second half offered little better fare, with Stephen Hughes having a shot blocked on the edge of the box by Rubio and Ronald de Boer then curling a free kick narrowly over the crossbar. 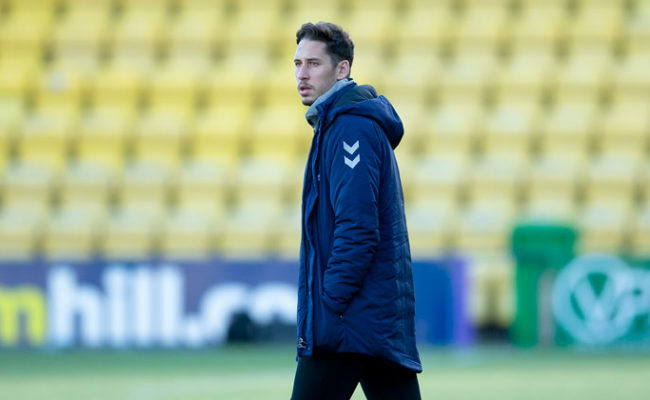 After surviving that scare, Livingston should have drawn level on the hour mark when Andrews rose unopposed to connect with Lee Makel’s corner but couldn’t keep his header down. A sustained period of Rangers pressure offered little in terms of chances at the sharp end and they were to live to regret that when their hosts belatedly equalised. The warning signs had been there – Burton O’Brien had glanced a header narrowly wide – but the Light Blues failed to heed them and could only watch on as Colin McMenamin latched onto David Fernandez’s through ball and slammed a low drive past Klos with 11 minutes remaining. 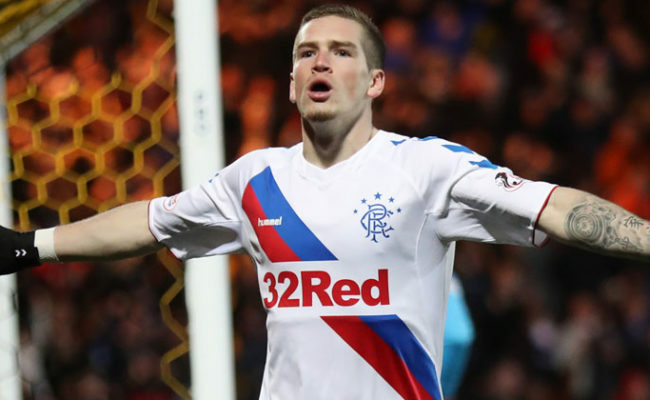 Rangers threw on Chris Burke to try to retrieve their lead and there was a late debut for Charlie Adam – on for Ronald de Boer – but neither could do little to stop Rangers sliding to another disappointing draw at Almondvale.